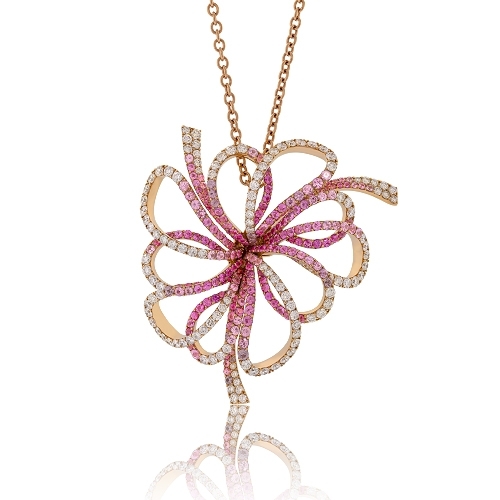 Open delicate pendant set with round pink sapphires & brilliant diamonds mounted in 18k rose gold. Diamonds approx. 4.22ct. Pink Sapphires approx. 8.79ct. Pendant 2.25"